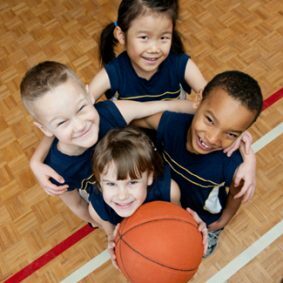 The Exemplary Physical Education CurriculumTM (EPECTM) is a nationally recognized program that combats the crushing burden of chronic disease. Of all health problems, chronic diseases are the most costly, widespread, and preventable. Physical activity is highly protective against the major chronic diseases (obesity, diabetes, heart disease). The objectives in EPEC systematically and sequentially increase fitness levels, develop motor skills, and increase activity-related knowledge. EPEC also helps to develop the personal, social, and attitudinal characteristics students need to be physically active for life. Therefore, EPEC is a true public health initiative being carried out completely in the education arena. EPEC is also a school reform initiative that is working to shift the emphasis of physical education away from merely keeping students busy, happy, and well-behaved toward instruction based on clearly-stated outcomes. As a result of this defined direction and clear objectives, students are more likely to learn, develop competencies and confidence, and be prepared for a physically active life. EPEC is being used by thousands of teachers nationwide to strengthen both the practice and perception of physical education.